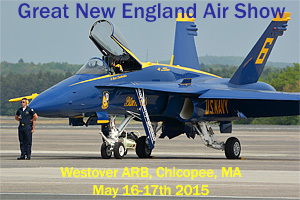 May 16th and 17th kicked off the air show season for New England at Westover Reserve Base, home of the 439th AW. This would be Westover�s 75th Anniversary and having 2 major demo teams the crowds exceeded 375,000 for the weekend. Not sure why we�ve been so unlucky with weather the last few shows in New England, back in 2012 at this show it was hazy, hot and humid with temps in the mid 90�s both days. This Friday�s media day and Sat had both clouds and very hazy skies making taking the pictures very challenging but all demo�s were allowed to do their high shows. The CF-18 demo was next being piloted by Captain Denis "Cheech" Beaulieu, painted in a brand new theme commemorating the 75th anniversary of the Battle of Britain. The Canadian Snowbirds went up next putting all 9 aircraft through ballet like maneuvers. The Geico Skytypers took to the skies next in their SNJ-2 T-6 Texan�s. The Army�s Golden Knights followed the Skytypers. They couldn�t jump in the morning due to the low ceiling and were able to get off a jump as the skies lifted a bit. Local favorite Sean Tucker followed the Knights pulling amazing G�s and cutting ribbons at 3 points in front of the crowd. 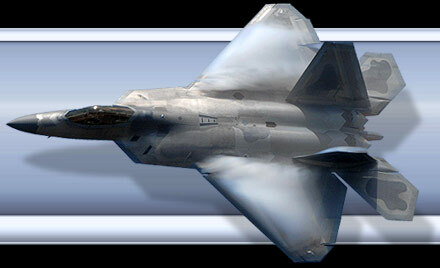 Now my favorite demo was going up next, the F-22 Raptor! Words cannot describe the maneuvers this aircraft can pull. You�re pretty much always guaranteed some vapor as he�s pulling off his tight turns. Fat Albert and The Blue Angels took over the field and put on an awesome show awing the crowd in their multi-ship maneuvers and also their opposing solo�s split second twists at show center. I would like to thank the 439th PAO for allowing me access on Fri and to return Sat to capture this event.